What a waste of a good cast! Lets conclude for once that Ajay Devgn is not a superstar (he’s ofcourse a very good actor). Even RK has more star power than him! Aren’t these the so called same critiques who praised an overrated boring, torture film sultan? Is yes then who cares about these losers’ fake review? We all loved it and so did indicine. Better these wannabe pseudo intelectual paid critiques stay away from it. 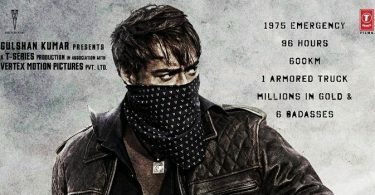 Much needed well made film for Ajay Devgan. This is the problem no critics give good rating to entertaining movies. As per them action and enterruwinfe movies should not be made. Raees 2.9 stars…badshaho 2.2 stars…same genre…so many stars.. I haven’t watched the movie though but looking at all the reviews now a days it seems like all the SO CALLED CRITICS are getting biased day by day. When will bollywood learn oh wait! not until these sick minded critics are here. May be because Indicine is only unbiased site. Where is disaster jhms in d list? ?